All information and content available on the Site and its "look and feel", including but not limited to trademarks, logos, service marks, text, graphics, logos, button icons, images, audio clips, data compilations and software, and the compilation and organization thereof (collectively, the "Content") is the property of KiaraSky.com, our affiliates, partners or licensors, and is protected by United States and international laws, including laws governing copyrights and trademarks. Except as set forth in the limited licenses in Section 5, or as required under applicable law, neither the Content nor any portion of the Site may be used, reproduced, duplicated, copied, sold, resold, accessed, modified, or otherwise exploited, in whole or in part, for any purpose without our express, prior written consent. We grant you a limited, revocable, and non-exclusive license to access and make personal use of the Site. This limited license does not include the right to: (a) frame or utilize framing techniques to enclose the Site or any portion thereof; (b) republish, redistribute, transmit, sell, license or download the Site or any and/or all Content (except caching or as necessary to view the Site); (c) make any use of the Site or any and/or all Content other than personal use; (d) modify, reverse engineer or create any derivative works based upon either the Site or any and/or all Content; (e) collect account information for the benefit of yourself or another party; (f) use any meta tags or any other "hidden text" utilizing any and/or all Content; or (g) use software robots, spiders, crawlers, or similar data gathering and extraction tools, or take any other action that may impose an unreasonable burden or load on our infrastructure. You must retain, without modification, all proprietary notices on the Site or affixed to or contained in the Site. We also grant you a limited, revocable, and nonexclusive license to create a hyperlink to the home page of the Site for personal, non-commercial use only. A website that links to the Site (i) may link to, but not replicate, any and/or all of our Content; (ii) may not imply that we are endorsing such website or its services or products; (iii) may not misrepresent its relationship with us; (iv) may not contain content that could be construed as distasteful, obscene, offensive controversial or illegal or inappropriate for any ages; (v) may not portray us or our products or services, in a false, misleading, derogatory, or otherwise offensive or objectionable manner, or associate us with undesirable products, services, or opinions; and (vi) may not link to any page of the Site other than the home page. We may, in our sole discretion, request that you remove any link to the Site, and upon receipt of such request, you shall immediately remove such link and cease any linking unless separately and expressly authorized in writing by us to resume linking. Any unauthorized use by you of the Site or any and/or all of our Content automatically terminates the limited licenses set forth in thisSection 5 include hyperlink without prejudice to any other remedy provided by applicable law or these Terms and Conditions. In the access or use of the Site, you shall comply with these Terms and Conditions and the special warnings or instructions for access or use posted on the Site. You shall act always in accordance with the law, custom and in good faith. You may not make any change or alteration to the Site or any Content or services that may appear on this Site and may not impair in any way the integrity or operation of the Site. Without limiting the generality of any other provision of these Terms and Conditions, if you default negligently or willfully in any of the obligations set forth in these Terms and Conditions, you shall be liable for all the losses and damages that this may cause to GlamandGlits.com, our affiliates, partners or licensors. You may choose to register at our Site if you are over thirteen (13) years of age. If you do register, you will have an email address/username and password for your account(s). You are responsible for maintaining the confidentiality of your account, username and password and for restricting access to your computer. You are responsible for keeping such information current, complete, accurate and truthful. You agree to accept responsibility for all activities that occur under your account, username and/or password. You agree to provide only current, complete, accurate and truthful information. If you are accessing and using the Site on someone else's behalf, you represent that you have the authority to bind that person as the principal to all Terms and Conditions provided herein, and to the extent you do not have such authority you agree to be bound to these Terms and Conditions and to accept liability for harm caused by any wrongful use of the Site or Content resulting from such access or use. We reserve the right to refuse service and/or terminate accounts without prior notice if these Terms and Conditions are violated or if we decide, in our sole discretion, that it would be in KiaraSky.com’s best interests to do so. It is our policy to decline unsolicited suggestions and ideas. Notwithstanding our policy with regard to unsolicited suggestions and ideas, any inquiries, feedback, suggestions, ideas or other information you provide us (collectively, "Submissions") will be treated as non-proprietary and non-confidential. By transmitting or posting any Submission, you hereby grant us full ownership of the Submission as if we had created, developed and posted the Submission for our own purposes. We reserve the right to copy, use, reproduce, modify, adapt, translate, publish, license, distribute, sell or assign the Submission in any way as we see fit, including but not limited to copying in whole or in part, creating derivative works from, distributing and displaying any Submission in any form, media, or technology, whether now known or hereafter developed, alone or as part of other works, or using the Submission within or in connection with our products or services. You also acknowledge that your Submission will not be returned and we may use your Submission, and any ideas, concepts or know how contained therein, without payment of money or any other form of consideration, for any purpose including, without limitation, developing, manufacturing, distributing and marketing products. If you make a Submission, you represent and warrant that you own or otherwise control the rights to your Submission. You further represent and warrant that such Submission does not constitute or contain software viruses, commercial solicitation, chain letters, mass mailings, or any form of "spam." You may not use a false email address, impersonate any person or entity, or otherwise mislead us as to the origin of any Submission. You agree to indemnify us for all claims arising from or in connection with any claims to any rights in any Submission or any damages arising from any Submission. When you transmit, upload, post, e-mail or otherwise make available data, text, software, music, sound, photographs, graphics, images, videos, messages or other materials ("User Content") on the Site, you are entirely responsible for such User Content. Such User Content constitutes a Submission under Section 10 above. This means that all third parties, and not we, are entirely responsible for all User Content that they post to the Site. You agree not to engage in or assist or encourage others to engage in transmitting, uploading, posting, e-mailing or otherwise making available on the Site User Content that (a) is unlawful, harmful, threatening, abusive, harassing, tortious, defamatory, vulgar, obscene, pornographic, libelous, invasive of another's privacy, hateful, or racially, ethnically or otherwise objectionable; (b) you do not have a right to make available under any law or under contractual or fiduciary relationships; (c) is known by you to be false, inaccurate or misleading; (d) you were compensated for or granted any consideration by any third party; or (e) infringes any patent, trademark, trade secret, copyright or other proprietary rights of any party. In addition, you agree not to transmit, upload, post, e-mail, or otherwise make available any software viruses, unsolicited or unauthorized advertising, solicitation or promotional material, including chain letters, mass mailings, or any form of "spam. "You further agree not to (i) impersonate any person or entity, or falsely state or otherwise misrepresent your affiliation with any person or entity; (ii) "stalk" or otherwise harass including advocating harassment of another, entrap or harm any third party including harming minors in any way; (iii) forge headers or otherwise manipulate identifiers in order to disguise the origin of any User Content; (iv) intentionally or unintentionally violate any applicable local, state, national or international law; or (v) collect or store personally identifiable data about other users. We do not endorse or control the User Content transmitted or posted on the Site and therefore, we do not guarantee the accuracy, integrity or quality of User Content. You understand that by using the Site, you may be exposed to User Content that is offensive, indecent or objectionable to you. Under no circumstances will we be liable in any way for any User Content, including, without limitation, for any errors or omissions in any User Content, or for any loss or damage of any kind incurred by you as a result of the use of any User Content transmitted, uploaded, posted, e-mailed or otherwise made available via the Site. You acknowledge that we have the right (but not the obligation) in our sole discretion to refuse to post or remove any User Content and we reserve the right to change, condense, or delete any User Content. Without limiting the generality of the foregoing or any other provision of these Terms and Conditions, we have the right to remove any User Content that violates these Terms and Conditions or is otherwise objectionable and we reserve the right to refuse service and/or terminate accountswithout prior notice for any users who violate these Terms and Conditions or infringe the rights of others. THE SITE IS PRESENTED "AS IS." WE MAKE NO REPRESENTATIONS OR WARRANTIES OF ANY KIND WHATSOEVER, EXPRESS OR IMPLIED, IN CONNECTION WITH THESE TERMS AND CONDITIONS OR THE SITE, INCLUDING BUT NOT LIMITED TO WARRANTIES OF MERCHANTABILITY, NON-INFRINGEMENT OR FITNESS FOR A PARTICULAR PURPOSE, EXCEPT TO THE EXTENT SUCH REPRESENTATIONS AND WARRANTIES ARE NOT LEGALLY EXCLUDABLE. YOU AGREE THAT, TO THE FULLEST EXTENT PERMITTED BY APPLICABLE LAW, WE WILL NOT BE RESPONSIBLE OR LIABLE (WHETHER IN CONTRACT, TORT (INCLUDING NEGLIGENCE) OR OTHERWISE), UNDER ANY CIRCUMSTANCES, FOR ANY (a) INTERRUPTION OF BUSINESS; (b) ACCESS DELAYS OR ACCESS INTERRUPTIONS TO THE SITE; (c) DATA NON-DELIVERY, MISDELIVERY, CORRUPTION, DESTRUCTION OR OTHER MODIFICATION; (d) LOSS OR DAMAGES OF ANY SORT INCURRED AS A RESULT OF DEALINGS WITH OR THE PRESENCE OF OFF-WEBSITE LINKS ON THE SITE; (e) COMPUTER VIRUSES, SYSTEM FAILURES OR MALFUNCTIONS WHICH MAY OCCUR IN CONNECTION WITH YOUR USE OF THE SITE, INCLUDING DURING HYPERLINK TO OR FROM THIRD PARTY WEBSITES (f) ANY INACCURACIES OR OMISSIONS IN CONTENT OR (g) EVENTS BEYOND OUR REASONABLE CONTROL. FURTHER, TO THE FULLEST EXTENT PERMITTED BY LAW, WE WILL NOT BE LIABLE FOR ANY INDIRECT, SPECIAL, PUNITIVE, INCIDENTAL, OR CONSEQUENTIAL DAMAGES OF ANY KIND (INCLUDING LOST PROFITS) RELATED TO THE SITE OR YOUR USE THEREOF REGARDLESS OF THE FORM OF ACTION WHETHER IN CONTRACT, TORT (INCLUDING NEGLIGENCE) OR OTHERWISE, EVEN IF WE HAVE BEEN ADVISED OF THE POSSIBILITY OF SUCH DAMAGES AND IN NO EVENT SHALL OUR MAXIMUM AGGREGATE LIABILITY EXCEED ONE HUNDRED DOLLARS ($100.00). YOU AGREE THAT NO CLAIMS OR ACTION ARISING OUT OF, OR RELATED TO, THE USE OF THE SITE OR THESE TERMS AND CONDITIONS MAY BE BROUGHT BY YOU MORE THAN ONE (1) YEAR AFTER THE CAUSE OF ACTION RELATING TO SUCH CLAIM OR ACTION AROSE. With respect to any dispute regarding the Site, all rights and obligations and all actions contemplated by these Terms and Conditions shall be governed by the laws of California, as if the Terms and Conditions were a contract wholly entered into and wholly performed within California. Any dispute relating in any way to your visit to the Site shall be submitted to confidential arbitration in California and you submit to the jurisdiction and proceedings thereof, except that, to the extent you have in any manner violated or threatened to violate our intellectual property rights or the intellectual property rights of our affiliates, partners or licensors or otherwise have a cause of action in equity, we may seek injunctive or other appropriate relief in any court of competent jurisdiction and you consent to jurisdiction and venue in any such court for such purposes. Arbitration under this agreement shall be conducted under the Consumer-Related Disputes Supplementary Rules then prevailing with the American Arbitration Association. The arbitrator's award shall be binding and may be entered as a judgment in any court of competent jurisdiction. To the fullest extent permitted by applicable law, no arbitration under these Terms and Conditions shall be joined to an arbitration involving any other party subject to this Terms and Conditions, whether through class arbitration proceedings or otherwise. You consent to receive any agreements, notices, disclosures and other communications (collectively, "Notices") to which these Terms and Conditions refer from us electronically including without limitation by e-mail or by posting notices on this Site. You agree that all Notices that we provide to you electronically satisfy any legal requirement that such communications be in writing. To withdraw your consent to receive Notices electronically, you must notify us of your withdrawal of such consent by emailing us at info@kiarasky.com please include hyperlink and discontinue your use of this Site. In such event, all rights granted to you pursuant to these Terms and Conditions, including but not limited to the limited licenses set forth in Section 5 hereof, shall automatically terminate. Unfortunately, we cannot provide the benefits of this Site to any user that cannot consent to receipt of Notices electronically. *Please note: This consent to receive Notices is entirely separate from any election you may make with respect to receipt of marketing communications. You acknowledge and agree that these Terms and Conditions constitute the complete and exclusive agreement between us concerning your use of the Site, and supersede and govern all prior proposals, agreements, or other communications. We reserve the right, in our sole discretion, to change these Terms and Conditions at any time by posting the changes on the Site and providing notice of such change. Any changes are effective immediately upon posting to the Site and release of notice of such change. Your continued use of the Site thereafter constitutes your agreement to all such changed Terms and Conditions. We may, with or without prior notice, terminate any of the rights granted by these Terms and Conditions. You shall comply immediately with any termination or other notice, including, as applicable, by ceasing all use of the Site. Nothing contained in these Terms and Conditions shall be construed as creating any agency, partnership, or other form of joint enterprise between us. Our failure to require your performance of any provision hereof shall not affect our full right to require such performance at any time thereafter, nor shall our waiver of a breach of any provision hereof be taken or held to be a waiver of the provision itself. In the event that any provision of these Terms and Conditions shall be unenforceable or invalid under any applicable law or be so held by any applicable arbitral award or court decision, such unenforceability or invalidity shall not render these Terms and Conditions unenforceable or invalid as a whole but these Terms and Conditions shall be modified, to the extent possible, by the adjudicating entity to most fully reflect the original intent of the parties as reflected in the original provision. 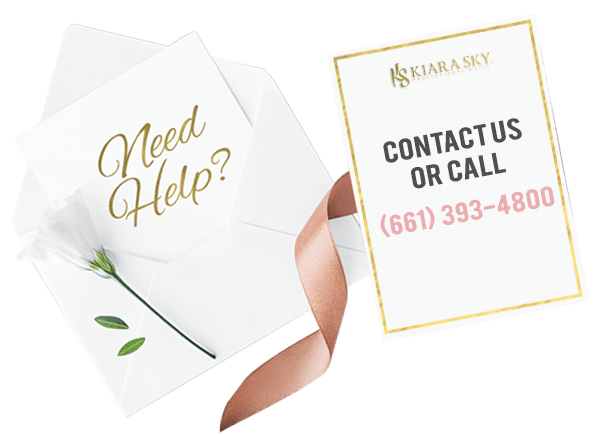 If you have any questions regarding these Terms and Conditions, please email us at info@kiarasky.com. copyright owner or authorized to act on the copyright owner's behalf.